National keeps you pumping around the world! Delivering Pump and Pump Systems Reliability, Dependability, and Service Since 1969. At National Pump, pump technology is our business. From principals and engineers to sales and service personnel, our key staff members have more than two centuries of combined industry experience. We want to help you achieve your goals and objectives, and we're big enough to meet your needs, yet small enough to provide the one-to-one service you deserve. From the plains of Texas to the deserts of Saudi Arabia, from gold mines to golf courses to municipal water systems, our pumps are hard at work around the world serving commercial, industrial, municipal, mining and irrigation needs. 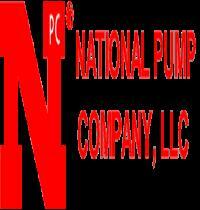 Each National Pump produced is an individual pumping system designed to do a specific pumping job. Precisely matched discharge heads, impellers, bowls and column/tubeline assemblies deliver consistent pumping capacity. We offer a full range of vertical turbine and submersible pumps, water or oil lubricated, of threaded or flanged construction, with capacities to 10,000 GPM and heads up to 1,440 feet. All pump models are in stock as standard materials, and they can be customized at the service center level. We also manufacture custom pumps, using special alloys and coatings to suit your specific needs. We have multiple patterns in order to meet special alloy requirements in a timely manner. Even more important is the service we provide. We will be happy to provide pre-design information to help you develop the most efficient pumping system for your customer's needs. Whatever your application, we know that having equipment down causes unacceptable delays - so each of our offices is a complete service/warehouse/assembly/finishing center. They're strategically located throughout the United States and staffed by experienced managers who are all field engineers, ready to help solve your problems on the phone or on site. No matter what brand of pump you have, when you need service, you get it now - not a two month delay while parts are ordered, or a several-day wait for a visit from service personnel. Before you design your next pumping system, talk with a National Pump expert and take advantage of the knowledge and experience we have to offer. We're convinced you won't find better quality or service anywhere!